PINKNOISE, formed in 2006, is the mischievous late night alter-ego to indie pioneers Skinny Alley. Initially conceived of as a performance project, the band would build a concept, tour with it, and then tear it down to start something new from scratch. 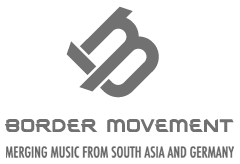 Their debut studio full length, The Dance Of The Diaspora, was released in October 2014 after a tumultuous two years. During this time, the band became widely considered to be the avant-garde of electronic fusion in India, and lost its bassist Gyan Singh to illness. The album features his last recorded work. In early 2018 Jayashree Singh (voice/stories) passed away after a prolonged illness.